Why are Bahais teaching even though it is BANNED? The Baha’is teaching the children in Egypt although deceptive conversion is banned in Egypt. Baha’is teaching their faith to non-Baha’i children in the BCC that is open for all and they say that they are taking moral classes and not teaching their faith. 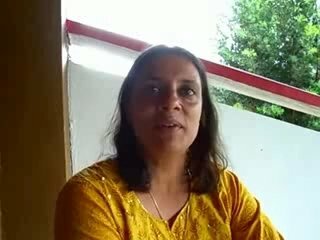 The Baha’is teaching Baha’i prayers in their moral (Conversion) classes in India. Although deceptive conversion is banned in India and many times the Baha’is have been warned and taken to the police. Baha’is teaching in Israel. Although officially it is banned to teach there. 3 Responses to Why are Bahais teaching even though it is BANNED? The word predator started out referring to insects that ate other insects, but has grown to include any animal that eats another animal. We humans like to think of ourselves as the top of the food chain, but scary movies love to disagree, like in the 1987 movie Predator, where creepy aliens try to kill and eat us. Predators don’t have to kill and eat you, though; they can also just take your stuff. It’s from the Latin word predator which means “plunderer,” which is more like something a pirate would do. That is so sad men at that age are predator . what the hell you are teaching to women at you fasts. shame on you Baha’i . best wishes to those sad young women. I highly DOUBT they are teaching non-Baha’i children. Baha’is have been killed for that. I HIGHLY THINK the children are Bahai children being taught. I have firm knowledge that they are teaching non-Bahai children.